Want a woodland creature to grace your kitchen? 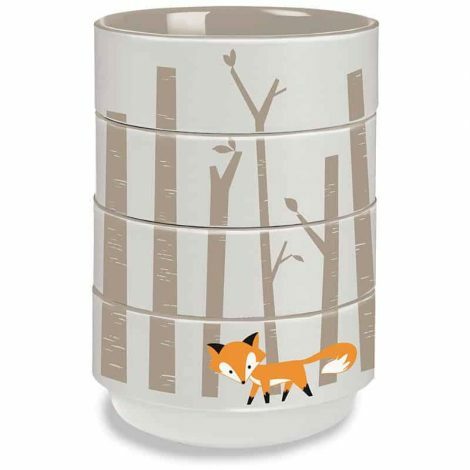 This cute fox can hangout behind some trees and in your cupboard! Featuring a classic orange colored fox against a winter white treeline, these stacking bowls are functional and chic. Also they’re a perfect size for snacks and dips!